Huey Huynh will team up with other leading IT professionals, including IT Expert, Robin Robins, to release the new book, You Are The #1 Target, a collaboration of expert advice on the Information Technology industry. Overland Park, KS. 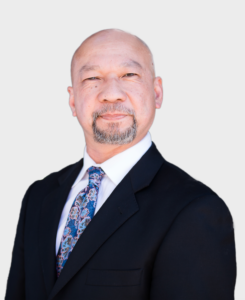 – April 15, 2019 – President and CEO of Business Data Solutions, Huey Huynh, recently signed a publishing deal to co-write the forthcoming book titled You Are The #1 Target, published by TechnologyPress™ LLC. In addition to Huey’s expertise, the publication features content from leading IT. Marketing Consultant, Expert and Author, Robin Robins. The book will be released under the TechnologyPress™, an imprint of CelebrityPress® LLC, a leading business book publisher that publishes books from ThoughtLeaders® around the world. Huey Huynh was selected to be in the book due to his willingness to share his vast knowledge about the IT industry. His professional expertise makes him an asset to the publication and will surely benefit a wide range of readers. Huey helps his clients leverage technologies to run their businesses efficiently and protect them from hackers and disasters. Having immigrated from Vietnam when he was in high school, he took his strong work ethic and became the first in his family to get a Bachelor’s degree. After graduating, he found he had talent for technology and began working in the IT industry in 1991. During this time, he helped many enterprise level companies utilize technology to run more efficiently and securely. It dawned on him that small businesses were not benefitting from these technologies for a few reasons: lack of expertise, lack of funds, and lack of knowledge. In 2005, Huey entered the small business world to help small business owners and he hasn’t looked back since. Huey started his company with the philosophy of helping others. That’s why he puts a strong emphasis on education for his team, clients, and colleagues. He shares his knowledge through various media including a print newsletter, email alerts, and webinars. His hope is to educate as many people as possible to ensure everyone is safe from cyber threats and can run their businesses without technology issues. Huey’s clientele span the entire business map and range from non-profits to rapidly expanding national companies. Huey and his team’s dedication to serving Kansas City businesses led the company to win the CRN MSP 500 and CRN Tech Elite 250 two years in a row. Huey and his team are constantly following industry trends and tweaking the business to provide the best service possible to Kansas City businesses.